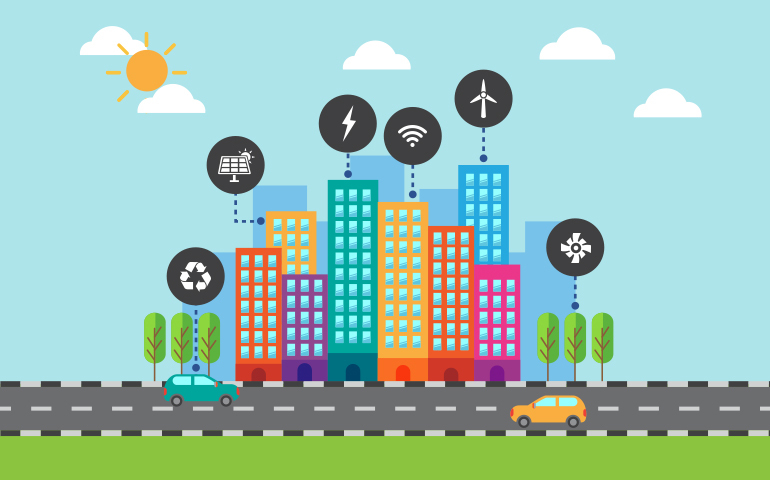 Share the post "How IoT-enabled Smart Buildings cut down energy costs"
Whether it’s the rise of artificial intelligence or the demise of antibiotics, traveling in autonomous cars or the arrival of 4D printing – science and technology is changing the world at a remarkable pace. Just look at the buildings. highest and best use of the property. Let me explain that with a scenario. Start from the moment your occupants’ cars enter into the building. Vehicle detection sensors sense their cars and direct them to an available parking spot. Biometric devices recognize their faces, when they enter into a building and let them pass through the security. How convenient is that! Now let’s suppose, one of the CEOs from another company is going to address a few C-suite executives of your tenant’s company. Your tenant makes a conference room reservation online. When the appointed time arrives, the air-conditioning system in the room will be turned on in advance. What if a conference room is able to adjust lighting levels according to the nature of conferences like conference mode, presentation mode, and video mode? In fact, during the entire conference, the temperature will be monitored at all times and automatically adjusted. At the end of the conference, all power settings will return to the original state. Now that’s the best example of 21st century buildings. 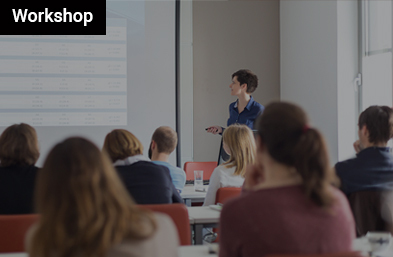 Whether you own a retail store, a restaurant, a commercial real estate, a warehouse, a hospital, a higher education campus, an industrial building, or even an American foursquare – tomorrow your properties’ value will be in data, and how your facility managers can use that information to strengthen tenant engagement. Over 80% of companies expect their commercial real estate teams prioritize technology improvements to enhance workplace productivity. – Jones Lang LaSalle (JLL) Inc.
Then why are not more property owners adopting it? Although IoT-enabled technology advancements have seen plenty of traction in the press, many property owners are still trying to figure out what opportunities such technology improvements will provide to their business. And there’s nothing wrong in that. There are building owners who view the cost solely as an expense, while others consider IoT-enabled technology advancements as investment yielding ROI, as a potential source of disruption for their business and as a source of distinction from their competition. For the ones who want to do more with less; who want to create profitable and sustainable business models that add lasting value to customers, employees, shareholders and civil society; and who want to keep up with the ruthless pace of change forced by the current digital technology disruption – Softweb Solutions Inc. has developed a Smart facility monitoring solutions. The solutions empowers you to collect data from every area of operations – from lighting levels, HVAC, signage, to fire arrangements and gain better visibility into aspects KPIs like water leaks, temperature, pressure, smoke, airflow, etc. Technologically advanced, Softweb Smart Building Solution is retrofit-friendly and can turn any building, old or new, into a smart building. 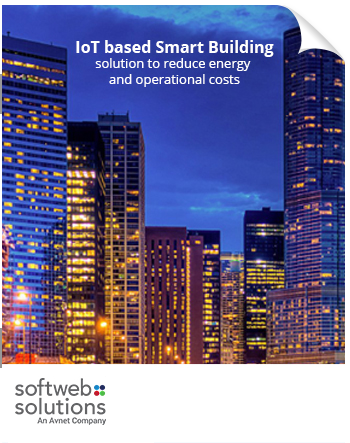 Whether you want to increase the efficiency of your building systems, monitor asset utilization, decrease operational costs, increase energy savings, improve tenant experience, or support environment-friendly practices – Softweb Smart Building Solution is the answer for all. Yes, property owners have been installing sensors and automating activities for some time, primarily aiming to make occupants more comfortable and productive at the lowest cost, while managing energy and operations more efficiently. Offices tend to use around 40% of their space at any given time during the business hours, according to U.S. Department of Energy (DOE) studies on achieving operational efficiency. So, data collected by motion and occupancy sensors at a building level can be used by facility managers to regulate air-conditioning and lighting level in real time, thereby reducing energy costs and optimizing the internal environment for its intended purpose. For each zone individually, a system can handle the temperature and lighting level, akin to that of a conference’s nature. This is how it offers tailored experiences for users based on their temperature preferences throughout the day and optimize their efficiency. Powering down lights in zones with zero activity, adjusting cooling systems based on weather, and managing other material resources can now be automated. This not only ensures that facilities are used more efficiently but also brings an improved experience for building users. Achieve a 10x ROI on predictive maintenance to facility managers. Originally, The New York Times’ 52-story building in Manhattan was designed to use 1.28 watts of lighting power per square foot. However, the publisher went to implement a ‘Smart Energy Management System’ to create a dynamic and energizing work environment. The payoff is: from 2009, the building uses only 0.396 watts/sq. ft. That’s precisely, a 72% reduction in energy usage! AT&T too lowered spending on lighting by integrating LED lighting with smart sensor systems. The environment-friendly system is saving the company approximately $8 million a year. Nevertheless, my favorite example is, “The Edge.” With some 28,000 sensors (dedicated to tracking lighting levels, humidity, and temperature), building’s main tenant, Deloitte is remarkably optimizing the efficiency and productivity of its employees. That’s why it is dubbed as “The Smartest Building in the World” by Bloomberg. With rapid advances in the Internet of Things and Cloud Computing technologies, buildings are no longer perceived merely as brick and mortar. Buildings can now talk to people and economize personnel and material resources in alignment with the priorities of property owners, facility managers, and building users. What are you waiting for? Get in touch with our experts and make your building smarter.